Dr. Daniel Sperling is Distinguished Professor of Transportation Engineering and Environmental Policy, and founding Director of the Institute of Transportation Studies at the University of California, Davis (ITS-Davis). The Institute has over 150 faculty, staff and student researchers. 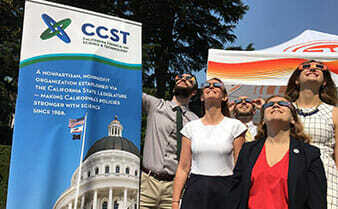 He has led ITS-Davis to international prominence by building strong partnerships with industry, government, and the environmental community, integrating interdisciplinary research and education programs, and connecting research with public outreach and education. In February 2007, Governor Schwarzenegger appointed him to the “automotive engineering” seat on the California Air Resources Board. His appointment was confirmed by the California Senate in January 2008. His chief responsibilities are oversight and design of the state’s climate change, alternatives fuels, vehicle travel and land use, and zero emission vehicle programs. He also served as co-director of the California Low Carbon Fuel Standard study, requested in the Governor’s January 2007 Executive Order. Sperling is recognized as a leading international expert on transportation technology assessment, energy and environmental aspects of transportation, and transportation policy. He has testified 10 times to the US Congress and state legislatures, and provided keynote presentations and invited talks in recent years at international conferences in Asia, Europe, and North America. In the past 25 years, he has authored or co-authored over 200 technical papers and 11 books, including Two Billion Cars (Oxford University Press, 2009). He has made 500 professional presentations in his career, including many keynote talks in the past few years. Sperling is an international expert on transportation technology, fuels and policy, with a focus on energy and environment. His research is directed at accelerating the global transition to cleaner, more efficient transportation and energy, and mitigating climate change. He was appointed to the Council in 2015.